Why you should choose Caputo & Partners? 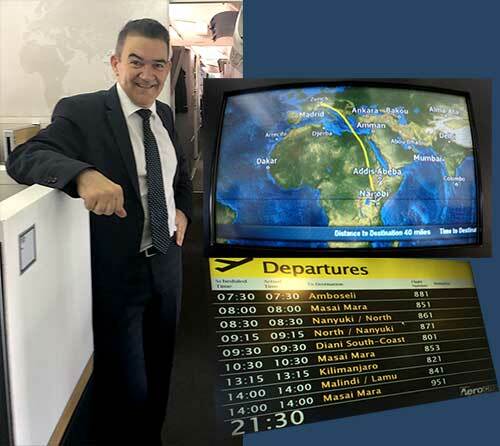 Whether in Africa arranging for the export of gold or in Zurich sitting with the executives of a Swiss private bank, we will protect your interests. We are the first address for international private clients, who appreciate unconventional tax help and fast solutions. An international battle-proven team of banking experts is available around the clock. Our boutique business law firm has years of hands-on experience in international private banking. Portable and proven expertise are readily available for you – from your first call! Don’t go alone to the bank – everything you will say may be recorded and used against you. We are famous for producing fast results on the spot. We solve the most sophisticated problems with a Swiss bank account, offshore banking, international tax & business. Such problems can lead to the loss of all your money, that your money remains frozen for years, or you even risk going to jail. Every day, we produce extraordinary results for our high-class international private clientele, even in seemingly hopeless cases where others have already given up. Let us convince you of our Performance Breakdown. Tax Savings with Lump-sum Taxation Regime in Switzerland, inclusive advisory services for international private schools, private clinics with health care, private property, luxury real estate purchase and acquisition of a second passport. Off-Market Commercial Real Estate transactions and transactions with trophy assets successfully negotiated. Assets successfully de-frozen because of frozen bank accounts for suspicion of money laundering, international corruption, price manipulation, insider trading, front running, scalping etc. based on over 140 international inheritance and estate cases with joint accounts, offshore company accounts, family foundations and trusts, trust accounts, and accounts with power of attorney beyond death (Procura Post Mortem) successfully closed. defended against foreign Requests for international legal and administrative assistance with accusations for price manipulation, securities fraud in connection with Pump & Dump price manipulation schemes. non tax-compliant funds legalized with 220 voluntary disclosure procedures accomplished in Italy, USA, Canada, Germany and Brazil. defended and saved from Request for international legal assistance in tax matters directed to Switzerland, discovered as impermissible “fishing expeditions”. investment & asset recovery with banks, asset managers and other debtors as a result of money transfer fraud, identity theft, investment fraud, securities fraud, e-mail fraud, forgery and other white-collar crimes. legalized with our tax help for US Persons with international FATCA problems and FBAR filing obligations with the IRS (Internal Revenue Service). issues with Offshore Companies, Offshore Banking, Registered Agents, Corporate Service Providers in the UAE, Asia and the Caribbean fast & successfully closed. Offshore Companies protected against a fatal tax audit of the tax inspectors, inclusive Health Check on offshore company structures, substance testing with permanent establishments, change of domicile etc. successful legal defences against requests for international legal assistance with allegations with international corruption, international fraud schemes, private corruption and money laundering. Swiss companies formed in Switzerland with account opening and start-up coaching. Bank Accounts discovered based on our special investigation methods with Dormant Bank Accounts, Numbered Bank Accounts and Secret Bank Accounts of foreign heirs successfully closed. 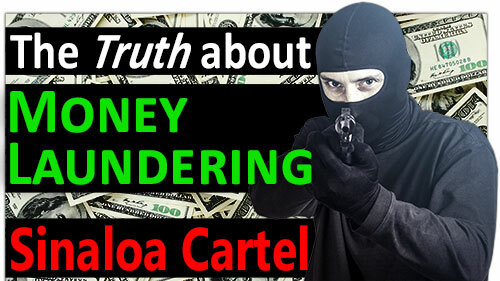 complex international transactions with background checks, document authenticity check, legal opinions of an international tax attorney, business partner background check, reviews, analysis of OFAC sanctions, Iran embargo checks, world-check de-listing, terrorist lists corrections with de-listing. Are you interested in First-Class Information about Private Banking? Do you want an inside look behind the Secrets of Private Banks? Mr. Caputo send you personally only from time to time the useful Information that can you save Millions. The Client receives an appointment after 2 weeks. Personal relationships to Top Senior Bankers and Owners of banks. 30 years high-exclusive banking network. Specialized on out-of-court settlements based on personal meetings with banks, avoiding litigation. Direct communication with Top management of the bank. We deliver fast results. Exchange of letters with the legal department of the bank. Written communication with the legal department of the bank (paper war with 1000’s of long letters). and what makes the boutique law firm in Zurich so unique? 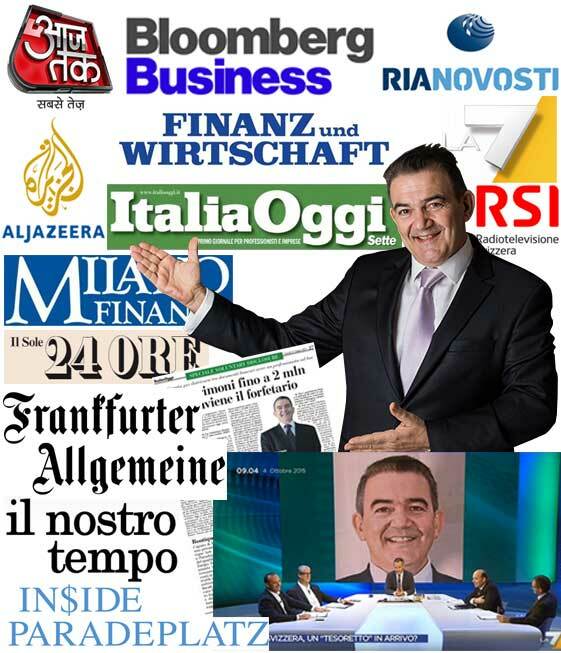 After a successful career in the Swiss Private Banking Industry (UBS, Credit Agricole) as an international Tax Attorney, Compliance Officer, Advisor for UHNWI (Ultra High Net Worth Individuals) and CEO of the Swiss Association of Asset Managers Enzo Caputo founded Caputo & Partners AG in 2006. Enzo Caputo, during his many years as a bank and tax attorney, recognized that the big law firms employ lawyers who have never worked in a bank. The expertise of salaried lawyers is largely based on theoretical knowledge from universities and courts. The lack of practice in the bank meant that communication with the bank was unnecessarily complicated and degenerated into a paper war with the legal department of the bank. The result for the client ends in astronomical costs with unnecessary loss of time, incalculable consequential damage or the total loss of the wealth of the client. Then, Enzo Caputo had the vision to build up an international team of experts with many years of precious professional experience accumulated with Swiss private banks. Take immediate benefit from the professional banking experience of our experts. Let our boutique law firm Caputo & Partners eliminate all your financial problems and achieve exclusive results. This is place to come to find a myriad of Case Studies illustrating the most common problems with the banks. Most of our clients have Swiss bank accounts. We explain with simple words how we solve your problems. We don’t write long letters as other law firms do. We will approach the decision-makers of the bank – together with you. We will solve your issue inside the bank negotiating face to face with the director of your bank. Bank account problems do not behave like good wine which gets better with age. Doing nothing means that you can lose your money overnight. Your money can remain frozen for years or you even risk going to prison. Never go to the bank alone when it is burning – Don’t be blind. It can backfire. You don’t have the knowledge a banker has with his day to day negotiations. Don’t forget, every little thing you will say to the bank will be recorded. You will create damage making our arguments impossible for later negotiations. You risk shooting yourself in the foot obstructing our defence scenario. Successful people seek the advice of an international tax attorney for tax help. When we go to the bank together, we steer the negotiations on your advantage and not that of the bank. The bank cannot lead you blindly anymore. Call us for help, now. With today’s geopolitical turmoil the choice of a bank around the corner at home, or the choice of an exclusive Swiss private bank, can make the difference between losing your assets overnight, or, protect them for generations to come. Discover the secrets that only few dares to say in the public. Where, why & how the rich and famous protect and invest their money safely in Switzerland. Did you know that 30% of all assets worldwide are invested with Swiss banks? Did you know that your home banks will take away your assets to save themselves from going bankrupt? Don’t be naïve and relay on the supposedly save advice of your banker at home. Your domestic banking system at home is exposed to many hidden risks. The Bail-In legislation in your home-country will save the domestic banks from bankruptcy by taking your private money away to save your bank at home. Protect your money and not the bank. Find out how we can help to protect your wealth, your business and your family from financial disaster. Here you will discover real insider tips. Learn how NOT to make mistakes with your hard-earned cash. Investing, growing and protecting your assets aren’t easy tasks. Losing money overnight is a tragedy. If you leave your assets to be managed by a wrong private banker, there is a risk of loss and or total capitulation. 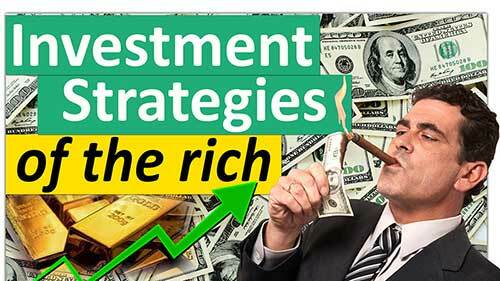 Investment experiments with your money and casino investments cannot be avoided. Such unsuitable investments can destroy your fortune overnight. We introduce you to a proven top private banker who continually increases your wealth. It will also give you access to lucrative off-market club deals and other exclusive and confidential opportunities. Read here what Swiss Private Banking can offer you to increase your wealth over generations. 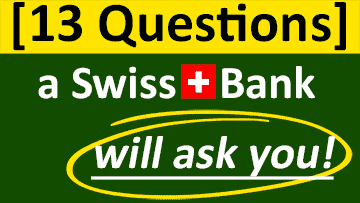 Do you have a tax neutral and secret bank account in Switzerland? Did you inherit an account and you do not know if the funds are taxed? Owning black money is no trivial offence anymore. Blocked accounts, heavy fines or even jail are the consequences. You need appropriate tax help for issues with tax evasion. Doing nothing is a fatal mistake. You are at risk of being treated like a criminal. Your Swiss banker is no longer your friend and helper. 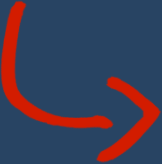 He will turn away from you. The Automatic Exchange of Information (AEOI) will report your private account information to the tax authority at your place of residence. The first Automatic Exchange of Information (AEOI) will be carried out by the Swiss banks as early as September 2018. Legalize your money as soon as possible with an international tax attorney. We have legalized hundreds of millions of dollars in black money in Brazil, Germany, USA, Canada, Italy, Belgium and Argentina quickly and easily. Read here how to legalize and optimize your tax situation. Here you will find the best tips and tricks on how to quickly legalize or optimize your tax situation. A Frozen Bank Account usually comes as a surprise out of the blue. The account holder makes a payment instruction but the bank will not execute the payment without informing the client. The account holder turns to the bank asking for help. But he gets no help from the bank; rather, he is handled with flimsy explanations or even lies. Do not expect any help from the bank. Do not make any statements to the bank that you might regret later. It can backfire. Everything you now tell the bank is recorded and can later be used against you. Now you need professional tax help. We will make the necessary clarifications for you and immediately find out what’s going on. We start a couple of phone calls with the right people. We estimate your situation with the account on the very same day of your initial contact with us. We will put together all the necessary documents and prepare your defence. Depending on the situation, we will react for you. We will limit your damage as much as possible. We are known as experts for frozen bank accounts. Read how to unlock some of our customers’ accounts on the same day. Here you will get the best instructions on how to get to your estate located in Switzerland. Swiss bank accounts are present in almost every international probate procedure for international entrepreneurial families. We’ll show you how to quickly and easily transfer your inherited bank account. We help you to transfer the assets inherited to an account with your name. Look closely at the old transactions in the inherited bank account history. 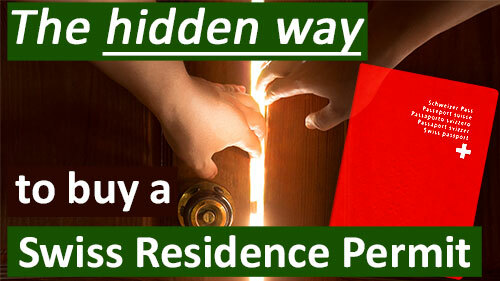 Many of my clients have found more hidden assets. It is worth it. Believe me. I speak from experience. In many cases, the bank records contain indications leading to unknown bank accounts at other banks or even abroad in another offshore location. Often the inherited bank accounts are not taxed. In many cases, the heirs must realize that they have inherited not only a Swiss bank account but also tax problems. 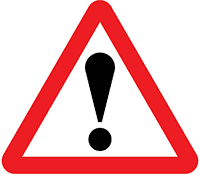 Watch out and look to professional tax help. Do not be criminalized. Before you inherit any untaxed funds, make sure that the bank account is legalized as soon as possible. We help you to legalize the inherited bank account with your tax authority at home. If you suspect the assets of your ancestors to be stashed in Switzerland, then you should start an investigation. The dormant assets do not wait indefinitely for the rightful successor. Make an effort before the Swiss authorities nationalize the assets of your ancestors. We will help you. Read how we discover the assets of the ancestors of our treasure hunters. Be prepared, because the next crisis is sure to come. Make sure today that your assets do not fall victim to the next financial crisis. The financial crisis of 2008, the Cyprus crisis of 2013, bail-in legislation in the EU are all signs that you need serious consideration as to where your assets will be managed. We will show you how to safeguard and diversify your assets internationally, same as already the owners of 30% of all bankable private assets in the world are doing with Swiss banks. Many clients of Swiss banks protect their assets from devastating divorces, from rapacious creditors. Medical doctors from all over the world mitigate their professional risks and protect their families with international structures and Swiss bank accounts. Mitigate the tax impact on your business with our international tax strategies and tax planning Guide like the giants of this world, like so Google, Apple, Starbucks & Amazon are saving millions in tax payments. You can do the same with your own company! By creating new companies abroad or changing your tax domicile (Switzerland, Italy, Malta, Ireland, Bahamas, St. Kitts & Nevis or Cyprus), you can save millions like large corporations. Discover proven tax-saving models for international tax avoidance with tax optimization and tax planning. These are all battle-proven solutions that work. 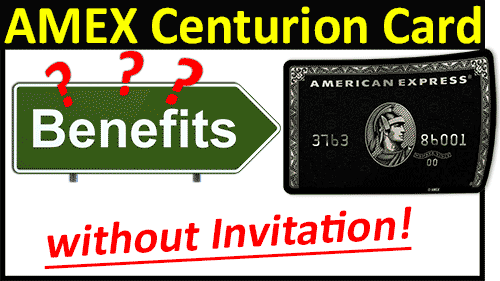 The golden days when banks invited their customers to exclusive dinners and nightclub visits are long gone. Today, the interview with a Swiss bank can turn into an interrogation by an FBI Special Agent. Due to the new legislation, the banks are obliged to spy on their customers and – if necessary – to report them to the Money Laundering Reporting Office (MROS). Our Insider Report 2018 shows how tax evaders bypass the Automatic Exchange of Information (AEOI) and how they will be discovered by the tax authorities. Read here how to legally bypass the AEOI. Check here how to avoid the negative consequences of the AEOI and how to circumvent the risks of financial kidnapping. 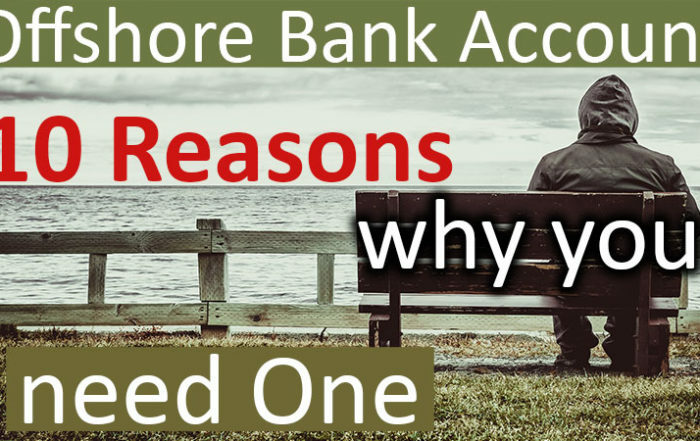 How to legalize your offshore bank account with tax-neutral money – without danger! Professional secrecy for lawyers in Europe does not apply to tax offences. Lawyers in the European Union have to denounce their customers. In Europe, the professional confidentiality client-attorney privilege is not guaranteed anymore for tax evasion offences. Be careful who you are talking to. Benefit from the unlimited confidentiality rules for lawyers and their clients in Switzerland. Discover here how to legalize your tax-neutral assets without the risk of being accused of tax evasion. How Millionaires & Billionaires are able to pay less tax using little-known Tax Avoidance Strategies – Confessions of an International Tax Lawyer. How can you, as a successful internationally active businessman, mitigate your tax impact? Ex-UBS tax lawyer unpacks the tax secrets of UBS Private Banking Key Clients. Benefit today from the hands-on experience gained by the former UBS tax lawyer. Discover how UBS Private Banking Key Clients have legally bypassed their tax payment obligations with the tax agencies. 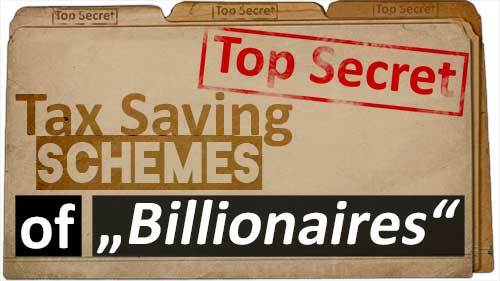 Discover little-known insider information used by the rich & famous and pay less tax. The Swiss lump-sum taxation model is the most attractive tax-saving model in the world. Hundreds of Hollywood Stars, Formula I Pilots and the world’s biggest business owners moved to Switzerland. They enjoy the best quality of life. Do what more than 5’000 celebrities have done before you – it can’t be wrong! In 14 days we have completed the Lump-sum taxation with Tax Ruling and Settlement for a type B permit holder in the Canton of Zug. Thanks to our personal relationships with the tax and immigration authorities we are the fastest international law firm in Switzerland for such tax & immigration services. We remarked that the international private clientele is very unsure about the choice of private banks. Easy to understand comparison parameters to find the best and safest Swiss banks are not easily accessible. How do you find the right bank for your individual needs and expectations from 283 banks? By comparing and confronting all the annual reports? Not all banks are publishing the annual report. Sometimes, the high level of confidentiality and discretion turns into an obsession in Switzerland. This has led us to launch the world’s first Swiss Private Bank Directory. This gives you an easily accessible comparison of all Swiss private banks. Nothing comparable exists until today. We provide facts and figures based on the latest annual report. We have summarized only the most important key figures for you so that you can gain a quick and easy overview allowing the comparison of specific banks. As experts, we also help you to fine-tune your bank selection. We will network you with the right people of a specific private bank. With our introduction, you can be sure that your wealth will not vanish because of adventures with high-risk investments. We will make sure that you will only be looked after by the best senior top private banker. Due to a large number of private banks, independent advice is paramount. Remember: Great choices are born of good advice. 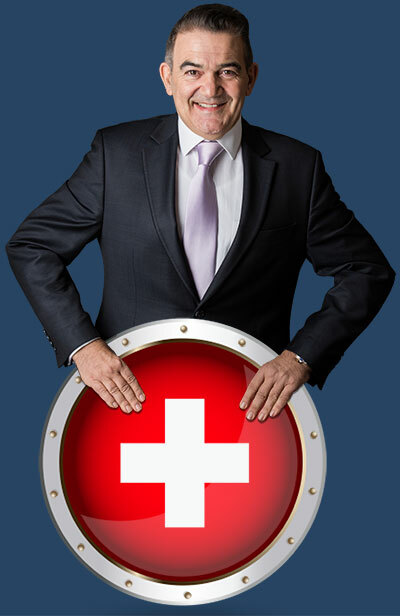 As an Ex-UBS tax attorney and former CEO of the Association of Swiss Asset Managers (SAAM) I have the capacity to deliver a competent and independent advice to ensure that you can keep your money in safe hands over the long term. That’s what I stand for by my name.